Here is a step by step run down of what you can expect on your first day visit in our office. All new practice members are encouraged to complete a Health History Form. Completing the form prior to your first visit will save you a great deal of time in the office. A separate Pediatric Health Form is available for children. 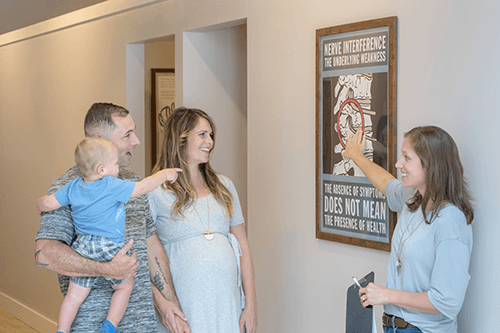 At the start of your first visit, we will give you a brief tour so you know where everything is and feel at home in our office. 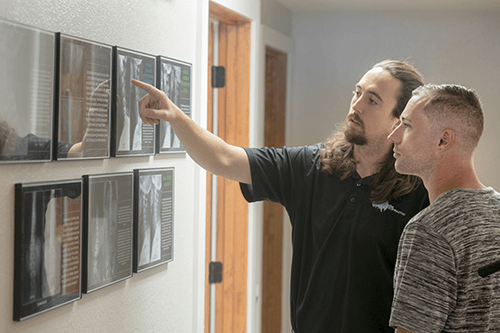 During a one-on-one consultation, we will talk in depth about your health challenges and goals, as well as explain exactly how we utilize specific chiropractic care to get to the root cause of your health concerns. 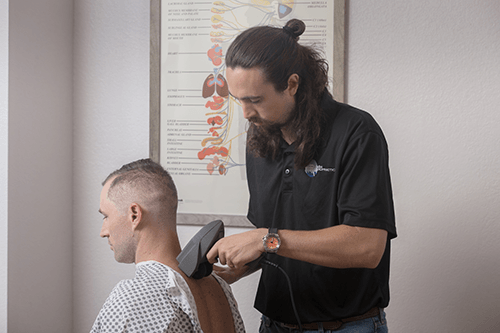 Specific Scientific Chiropractic Assessment: Our space certified, state-of-the-art technology allows us to get a clear picture of how your nervous system is functioning and the specific areas where nerve interference is occurring. During the final step of your initial visit, we will take specific postural x-rays if necessary. We have a digital x-ray suite on location for your convenience. 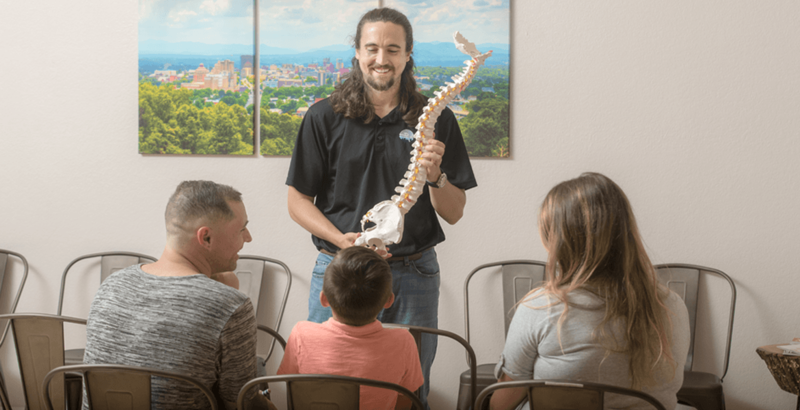 After reviewing your individualized recommendations, you will be given the opportunity to receive your first specific chiropractic adjustment and begin your journey toward optimal health and healing. Affordable Chiropractic Care is our Mission.